Eternal Lords is the second expansion for the critically acclaimed and successful Age of Wonders III by Dutch developer Triumph Studios – it’s a massive content upgrade that took us a week to test and review. Here’s what we thought. 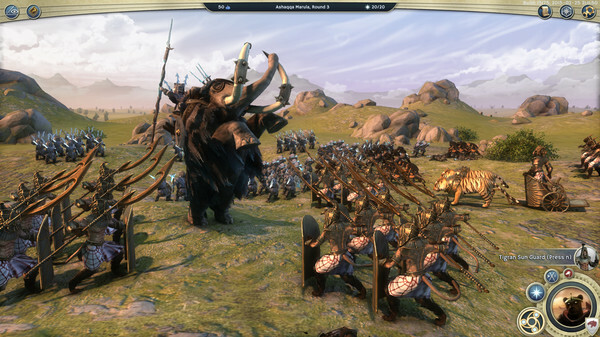 Back when Triumph Studios released their first expansion for Age of Wonders III – Golden Realms, we did a Q&A with the developers. They emphasized how community feedback was important to them, as was the amount of depth involved with the game’s various RPG elements. Now that their second expansion is here, we can tell that they were serious. Eternal Lords packs a tremendous amount of content and the v1.5 updated that was released simultaneously further enhances the experience. We mention the update for a reason. Much like how Blizzard updated the Diablo III experience with a giant patch upon the release of Reaper of Souls, Triumph Studios has released a major update to Age of Wonders III that goes hand in hand with the additions that the Eternal Lords expansion brings. With the new update, players now have increased amounts of strategic depth at their disposal, due to the vassal city mechanics system that’s now in place. Pure military conquest is therefore no longer your only way towards expanding your empire, and relations and diversity with and among races has also been expanded upon. This is all on top of the “usual” tweaks to AI and other elements, although unfortunately not every developer would see it that way. And for some really old school gameplay, you can try out the new “play by email” option as well. We didn’t try out this mode, but since people still play chess games over email I’m sure there’s a crowd eager to play the game this way. Which brings us to the Eternal Lords expansion itself. Front and center is the new campaign (which features three different endings), but the game also adds two new races and one new class to the mix. Aside from these major additions, you’ll also discover new locations, units, heroes, skills and items – and all have been carefully crafted to work alongside the recently re-balanced gameplay of the original. However, while there’s a ton of detail being added here – we’ll focus on the big things in this review – new campaign, new races and a new class. The two new races that have been added are the Tigran and the Frostlings. The Tigran are a breed of humanoid tiger-esque creatures with spiritual/religious tendencies – evoking subtle memories of the old Egyptians. 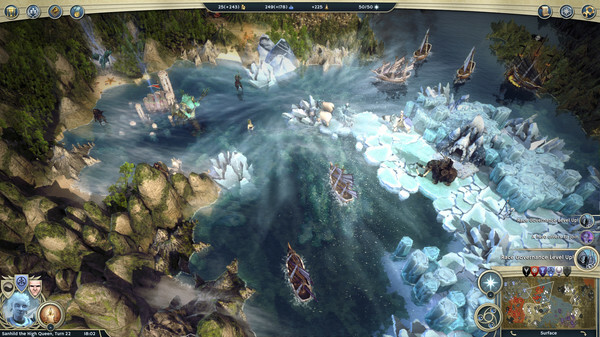 The Frostlings thrive in colder climates and embrace the power of ice in their magic and hunger for empire expansion. 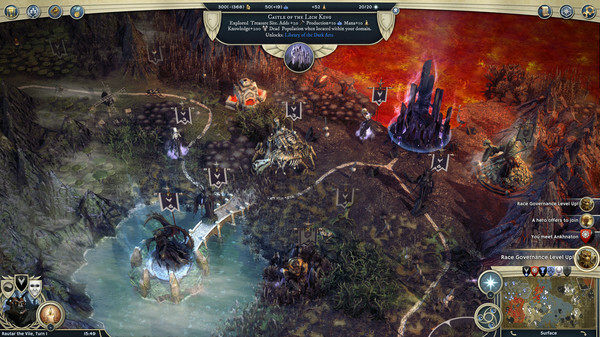 Both are vastly different – not just to one another, but also to the original cast of Age of Wonders III and its first expansion. This becomes even more apparent when you factor in the added tactical and strategic possibilities provided by the v1.5 update and the other additions that come with Eternal Lords. Take the necromancer class, for instance. Combining your power over the undead with your control over frost and cold – and you’ve got a mighty offensive combination. With other races not as prone or suited to combat, your necromancy skills can turn into a powerful defensive trap for forces that try to overrun you. The combination of Frostlings with necromancy isn’t a random example – it’s one that we used often in the expansion’s main campaign, which centers on the heir to the Frostling kingdom. The discovery of necromancy provides the opportunity for a dramatic power shift for the Frostlings, but embracing these powers also means somewhat of a farewell to what made their race strong to begin with. It’s an engaging storyline, but – and this is a big chance from what most DLC offers – the real gem here is the wealth of gameplay options that this expansion adds, even if you never play the new campaign.